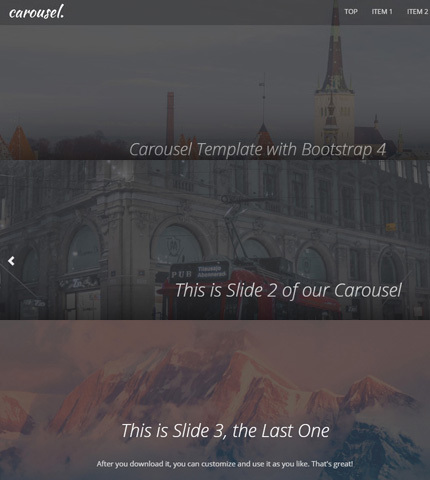 Today’s free web design resource is a pack with 3 free Carousel templates made with Bootstrap 4 (version 4.2.1). They use the Bootstrap carousel component, are responsive and come with features like Autoplay, Captions, Controls and Indicators. Also, the templates come with a logo section, navbar menu that changes the transparency as the user scrolls the page up and down, and some other example sections. Below you can find the live demo and download links. Enjoy! When working on large projects, an important part of the website or app that we’re building is asking for input from the users. We usually implement and achieve this with forms. But in a large project there is a lot of information that we must collect from the user, like for example when applying for a financial service through an online bank’s website. or we can use a combination of the two options above. Today, in this article, we will take a look at option 2: we’ll see 3 examples of using form fieldset-s in Bootstrap 4 (v4.2.1). At the end you can preview and download the templates. 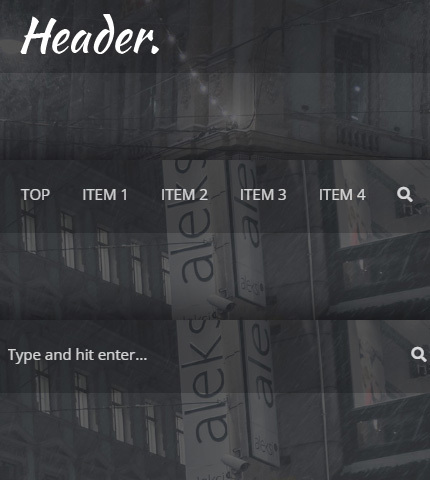 Today’s free web design resource is a Header template made with Bootstrap 4 (version 4.2.1). It is very simple and comes with a logo section, navbar menu, search box, fullscreen background image and more. It also changes the transparency as the user scrolls the page up and down. You can use it for inspiration or as a starting point to create your next website project, since the template comes with some other example sections, apart from the header. Take a look below to find the live demo and download links. I hope you like it! In today’s article we’ll talk about website personalization, and with the contribution of one of our readers, we’ll see how to use it to improve conversions of your website(s) or get some new ideas to apply to the site(s) of your clients. Let’s begin! Website personalization is the process by which a web page delivers custom content to users at the right time and place. Ecommerce websites provide some great examples of this. Take, for instance, a site like Walmart that asks visitors if it can access their location. Upon allowing the website to do so, shoppers encounter location-related notes throughout the customer journey. 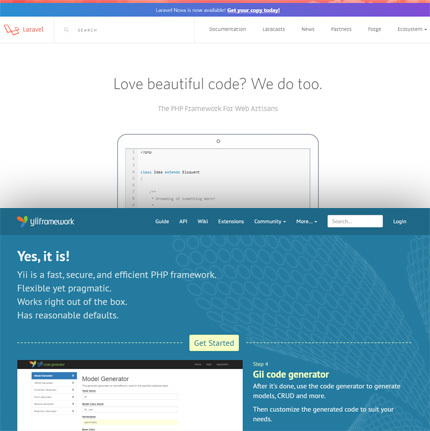 There is hardly any other language that is both well-loved and widely hated like PHP. And while this blog has discussed and used PHP in the past, today, with the help of one of our readers who wrote this article, we would like to discuss it more and focus on two frameworks, Laravel and Yii. Regardless of what business you are running, having a website is a must. Through a website people from all over the world, but especially your target audience, can access information in real-time about your business’ activity and learn more about it. This stands true for the education field as well. 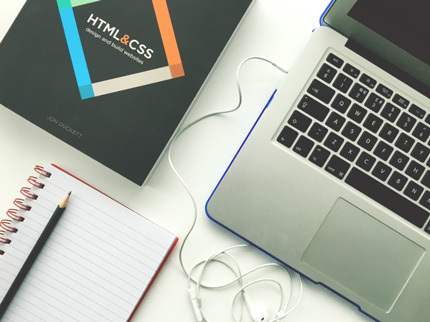 Regardless of whether you are looking to set up a university, college or school website that students and parents can access from the comfort of their homes, or you simply want to start an online course to help people from every corner of the globe to learn, a template that is specifically designed for this purpose will be of great help. 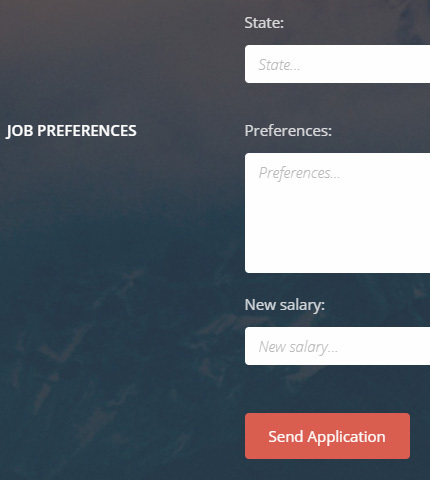 While you can, technically, make use of pretty much any template for this purpose, the fact of the matter is that a template that is designed for educational use or in relation to education, will provide numerous features that make everything a lot easier for you to manage and much more appealing to visitors. 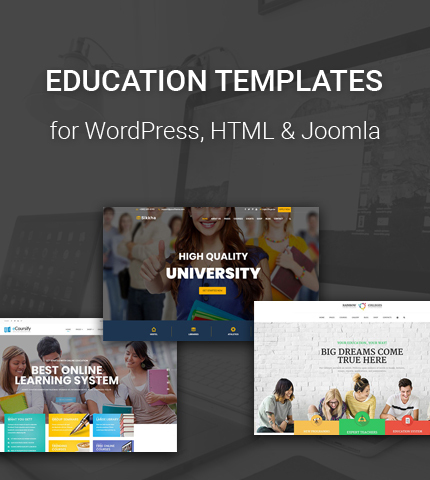 With that in mind, here we have selected 15 templates for Education, College and University websites by TemplateMonster, which are not just for WordPress, but also simple HTML and for Joomla. Let’s take a look! There are many reasons why it is important to keep up with the best app designs. One of them is the fact that users are always looking forward to seeing important changes to the app every once in a while. Design breakthroughs happen often and it does not make sense to have outdated designs in a modern application. Apart from this, a great design makes an app easy to use. App users also find greatly designed applications to be more trustworthy. 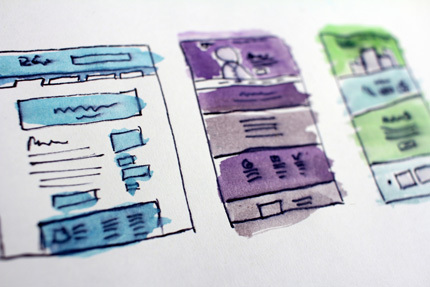 If you are looking forward to keeping your app relevant, therefore, the following are the 8 essential app design trends you should follow.